We organize training courses from the very beginning to the very end, focusing also on sessions atmosphere and other non-educational aspects. Contact us if You want to combine training with the integration of the employees in Your company. Improving of professional qualifications can be successfully combined with other elements, which will be good for the team ambience. If you are looking for the event, which will positively influence Your team, let us organize training combined with professionally organized free time. We can offer You team-building trip in any place on Earth, the only limit is Your budget. Every step outside the borders of standard training session can enhance soft skills and cooperation in Your team. We will enable creation of strong team possible, throughout developing closer relationships based on trust and respect among employees. Organization of such events in natural environment for example, helps to neutralize the effects of stress and to solve problems in workplace. 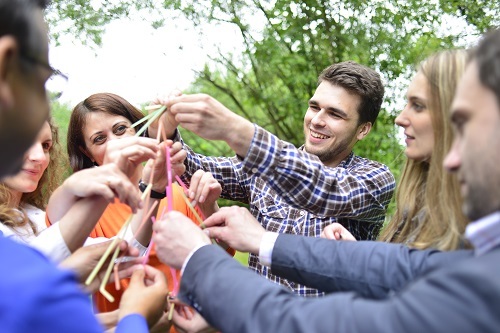 Team-building trips enhance motivation in team and loyalty, not only amongst employees, but also between employee and a company, which most certainly will positively influence your company. We offer training courses combined with integration in inspiring places. We can think outside the box and organize spectacular event for Your team. Thanks to us, You won’t feel like on traditional training course, we will take care for taking You in unforgettable intellectual trip, from which You will return relaxed and with new knowledge and tools. If You want to develop Your company and increase the quality of soft skills in a pleasant atmosphere feel free to contact us.